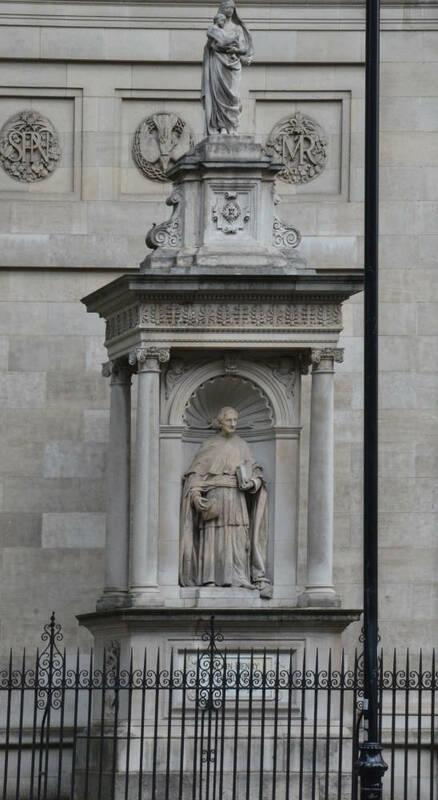 "Cardinal Newman's memorial was erected by a committee under the fifteenth Duke of Norfolk in front of St. Joseph's Hall [...]. 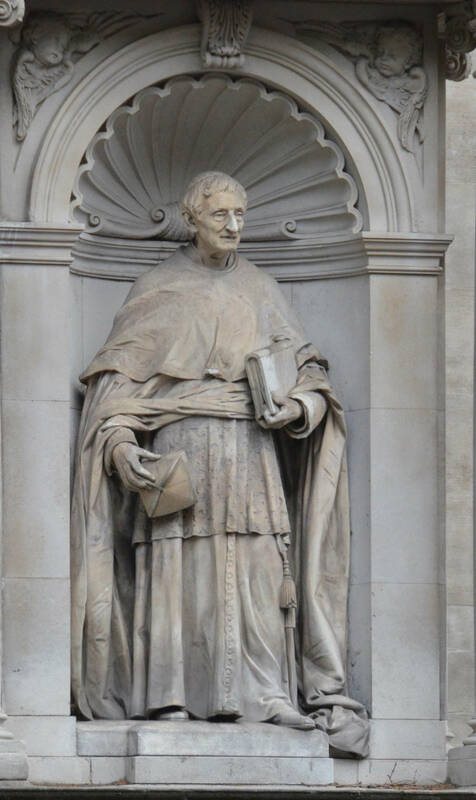 It was designed by Bodley and Garner and made by Farmer and Brindley, whose artist, L. J. Chavalliaud, modelled Newman's statue" (Sheppard). Photograph by George P. Landow 2011; text by Jacqueline Banerjee. Sheppard, E. H. W., ed. 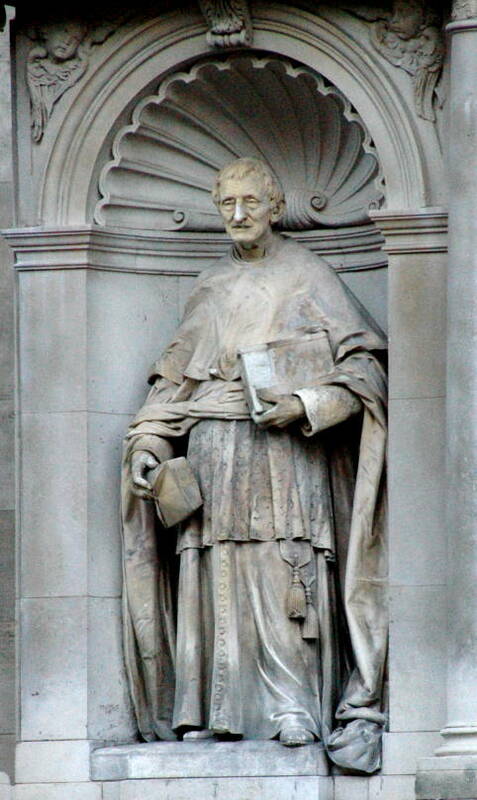 "The London Oratory." Survey of London, Vol. 41: Brompton (1983). Web. 20 Jan. 2011.